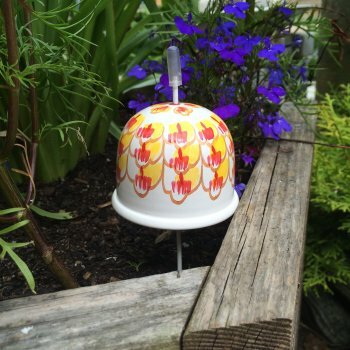 The marigold slug bell depicts a very popular garden flower, a beautiful orange, yellow and red flower that adds cheer and brightness to any garden. Marigolds are known as the "herb of the sun" and are symbolic of passion and creativity. 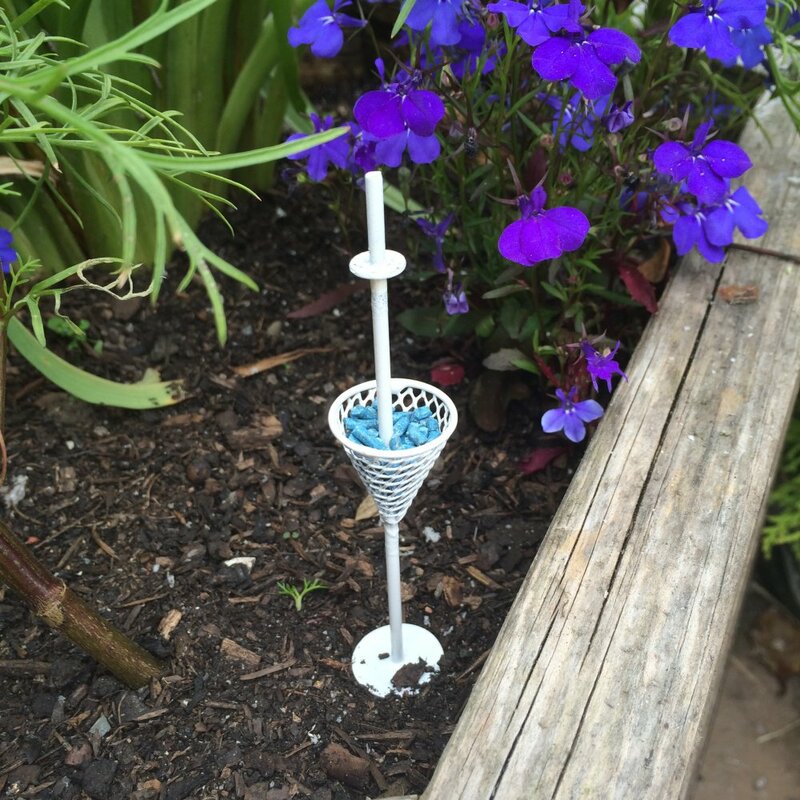 Our marigold slug bell comes with mesh basket, metal stick, bell top and full instructions. It has been hand crafted and then hand painted and varnished to reduce colour fading.